Has anyone had any success with these? I recently shot some footage outdoors and used these on the talent with a sure WL50 lav. There was a lot of background noise at the shoot (street corner) so it was difficult to monitor the audio. When I got back to the edit bay, there was a significant amount of rustling noise. Am I doing something wrong in the use of these? 4. I let the mic cable hang free under the suit jacket and clipped the transmitter to the talent's belt, letting the antenna hang free as well. Any suggestions? Did I create room for the rustle to happen by leaving the tiny windscreen on the mic? Sometimes it helps to secure the jacket and shirt together with a loop of gaffers tape so they don't slide over each other with the mic in between as the talent moves. 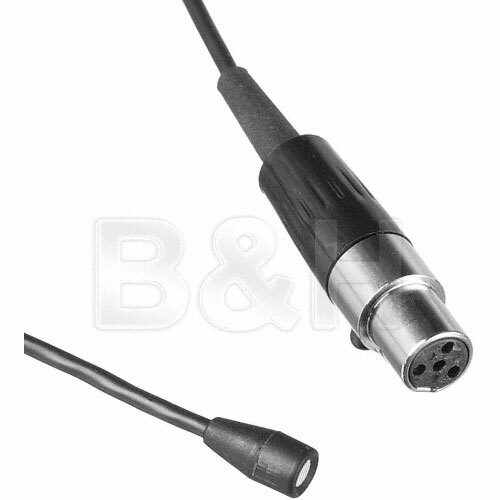 Did you put put a strain-relief loop in the cable up by the mic by tieing it with a piece of thread and then securing the loop to the fabric near to the mic? Letting the cable dangle free lets it rub on the fabric and any vibrations created get transfered right to the mic otherwise. No, I must admit that I forgot the loop. I'll have to do some test before my next shoot where I plan to use the Undercovers. Any thoughts on leaving on the windscreen? I'd think the bulk of the windscreen would make it almost impossible for the clothing NOT to slide over its surface causing noise. Try without it and see what happens, since the jacket would screen it from any breezes and exhalations anyway. The little silver windscreen on the top of the mic, would you think that is too bulky? Would it be safe for the mic to be taped down without it? Just wondering. Any info or light that you could shed on the matter would be great. I do appreciate your advice. Thought you meant you'd used a foam widscreen. My mistake. The mesh cap shouldn't be too bulky.